Character actors are those actors who so thoroughly perfect a specific role that they disappear completely into it. You might recognize their faces, but you probably don’t know their names. 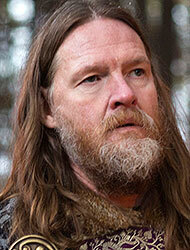 Donal Logue is one of those character actors. Chances are you’ve seen him in at least one film – he`s done more than 50 in the last 16 years, but you probably don’t realize it. He has perfected the average Joe character, and built his reputation on playing variations on that role. The son of Irish immigrants, Donal Francis Logue and his twin sister Deirdre were born in Ottawa, Ontario on February 27 1966. His family moved to Boston when he was just a child, and then to various places along the US-Mexican border. After high school he returned to Boston, where he attended Harvard University, majoring in intellectual history. When a friend dared him to try acting, he became interested in theatre, performing in over 30 plays and working two summers for the American Repertory Theater`s Harvard/Radcliffe Summer Stock Company. Although he had long aspired to be a writer, he traveled to England upon graduation and enrolled at the British-American Drama Academy in London. Returning to the US, he traveled with the Cornerstone Theatre Company developing community theatre in rural parts of the country and even served as road manager for local Boston bands The Lemonheads and Bullet LaVolta. The early 1990s brought him television and film work. His first role was as Danny McGoff in Mike Newell`s made-for-television movie Common Ground (1990), which also featured Canadians Justin Louis and Sean McCann. Next was another television movie, Darrow (1991), which starred then-unknowns Kevin Spacey, Chris Cooper, Calista Flockhart and Canadian Rebecca Jenkins. Logue played James McNamara, another character with a vaguely Celtic name, to suit his copper hair and freckles. In 1991 Logue moved from Boston to Los Angeles to pursue acting seriously. He continued to appear in television movies in 1992, with roles in Getting Up and Going Home, and the Showtime special Medusa: Dare to Be Truthful, a Julie Brown spoof of Madonna`s Truth or Dare. He also appeared on an episode of The Commish and made his big-screen debut as Dr. Gunter Janek in the lighthearted thriller Sneakers, which starred Robert Redford and Sydney Poitier. The following year brought Logue some higher profile roles, in the television movie Labour of Love: The Arlette Schweitzer Story, on an episode of The X-Files, in the epic Gettysburg and in the highly acclaimed, award-winning HBO-TV movie And the Band Played On, which told the story about the discovery of the AIDS virus. Logue began to win more substantial roles in higher profile films. He appeared in the Michael Douglas/Demi Moore drama Disclosure (1994) and as Jacob Mayer in the remake of Little Women (1994), co-starring Winona Ryder, Susan Sarandon and Gabriel Byrne. He also had a starring role in the psychological thriller The Crew (1994) and appeared on an episode of the hit series Northern Exposure. The year 1994 was also when Logue began writing the scripts for and appearing as the notorious “Jimmy the Cab Driver” on a series of MTV spots. This would become his most famous role, and the character gained a dedicated cult following. For the part he was unrecognizable in a greasy black wig and thick black taped-up glasses, as he spouted a constant string of malapropisms and commented on pop culture. He continued to work steadily until the year 2000, appearing in the Sarah Jessica Parker romantic comedy Miami Rhapsody (1995), co-starring with Molly Ringwald in the thriller Baja (1995), appearing in the Sally Field/Keifer Sutherland thriller An Eye for an Eye (1996), playing a Gen-X slacker in the low-budget film The Size of Watermelons (1996), and appearing in the Sharon Stone thriller Diabolique (1996). Also in 1996 Logue co-starred in Cameron Crowe`s hugely popular, award-winning Jerry Maguire as Rick, a junior sports agent. The year 1997 brought Logue roles in the Eddie Murphy comedy Metro, the Jesse Peretz dark romance First Love, Last Rites, and the Canadian feature Men with Guns, which he co-produced as well as co-starred in with Canadian Callum Keith Rennie. The last two years of the 1990s brought him roles in a number of major films, with a number of famous co-stars. He won a supporting role in the Wesley Snipes vampire thriller Blade (1998), as one of the bloodsucking villains and an uncredited roles in Terence Malick`s acclaimed dreamy war film The Thin Red Line (1998), which co-starred Sean Penn, Adrien Brody, George Clooney, John Cusack, Nick Nolte and Canadian Elias Koteas among others. In 1999, Logue played one of Julia Roberts’ jilted fiances turned priest in The Runaway Bride. That same year, he had a scene-stealing role as Eamonn, the slacker chauffeur/actor in the hair-styling comedy The Big Tease. Donal was also busy appearing on the popular series Felicity in 1999 and as an Assistant D.A. Dickie Flood on five episodes of the hit series The Practice, from 1997 to 1998. The year 2000 saw the release of seven features. These included the Bono-scripted, Wim Wenders-directed The Million Dollar Hotel, the Ben Affleck/Charlize Theron thriller Reindeer Games, the Abbie Hoffman biopic Steal This Movie and Mel Gibson`s American Revolution drama The Patriot. But 2000 was also the year that Logue shed his supporting actor persona and stepped into the spotlight as the leading man in an indie romantic comedy. In The Tao of Steve he put on 45 lbs to play Dex, an aging lothario slacker/philosopher, living in Santa Fe. Both the film and Logue`s performance garnered rave reviews and he was awarded the Special Jury Prize for Outstanding Performance when the film premiered at the 2000 Sundance Film Festival. But the success of The Tao of Steve didn’t go to his head. He was able to relax somewhat, knowing that his performance had placed him permanently on the Hollywood radar. He was also a new father, who found himself either bringing his family onset with him (for Reindeer Games and The Tao of Steve) or flying home every weekend to see them (during the shoot for The Patriot). This was remedied in 2001 when Logue took the starring role in a FOX-TV sitcom, Grounded for Life. He played Sean Finnerty, a young dad who married at 18 years old, and now trying to raise a 14 year-old-daughter and two young sons while trying to still be young and cool. The show was a moderate success, but not enough for FOX`s taste. They dropped the show but not before the WB picked it up. 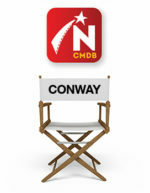 It`s still on the air today. While Grounded for Life kept him in one place and close to his family, it didn’t allow as much time for film projects. 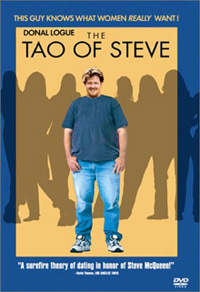 After the success of The Tao of Steve, Logue was still playing supporting roles, but they were becoming more like cameos, as witnessed in The Chateau (2001). The film told the story of two brothers who inherit a French chateau and have to decide whether or not to keep it or sell it. It was his second project working with writer/director Jesse Peretz, and he had a hysterical small role as Sonny, the worst possible prospective buyer. In 2002, Lgoue again tried his hand at producing with Comic Book Heroes, the story of two dueling comic book stores. He played Raymond, the owner of one of the bookstores and a hopelessly obsessive comics freak. On hiatus from the series in 2003, Logue appeared as a corrupt LAPD officer in the offbeat crime drama Confidence, alongside Edward Burns, Rachel Weisz, Andy Garcia and Dustin Hoffman. He also appeared in the story of comic book anti-hero Harvey Pekar in American Splendour. The film was a unique mix of fiction and reality and won the FIPRESCI Award – for original approach to fiction and reality – at the Cannes Film Festival and the Grand Jury Prize at the Sundance Film Festival. After seeing The Tao of Steve, ER producer John Wells contacted Logue and asked him if he’d play the role of Dr. Susan Lewis’ (Sherry Stringfield) “husband,” Chuck Brown, in three episodes. He was honoured to fulfill his request, and the episodes aired in the spring of 2003. Logue`s had a cameo in 2003`s Two Days, an independant comedy about making an independant film. He played Sean Finnerty on Grounded for Life up until the series ended in 2005. In 2006, he launched Knights of Properity, a series in which he not only starred but also produced. It`s about a bunch of out-of-work losers planning to job Mick Jagger`s Manhanttan penthouse. Also in 2007 he was in the Nicholas Cage comic book film, Ghost Rider. He has made only a few forays back home. He starred in the moody Canadian film Oliver Sherman in 2010 and returned to be in the production of Sunshine Sketches of a Little Town, scheduled for broadcast by CBC in 2012. Back in the US, Logue landed the co-lead in a terrific little series called Terriers. 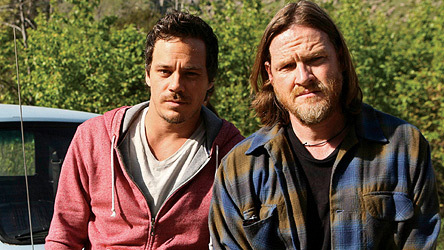 He is pictured with his partner, actor Michael Raymond James in a still from the comedy drama. Quirky, off-beat, it seemed out of place on the American specialty channel FX and was canceled at the end of its first year. It was picked up and is running on FX Canada, which made its debut on cable in January of 2012. 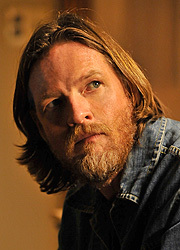 One thing is for certain, Donal Logue has perfected the low-key, average Joe charisma and shrewd comic timing, which made his most famous characters, “Dex” and “Jimmy the Cab Driver” so appealing. This biography is Copyright © 2011 by: Catherine Solmes and may not be reproduced without prior written permission. For more information about copyright, click here.